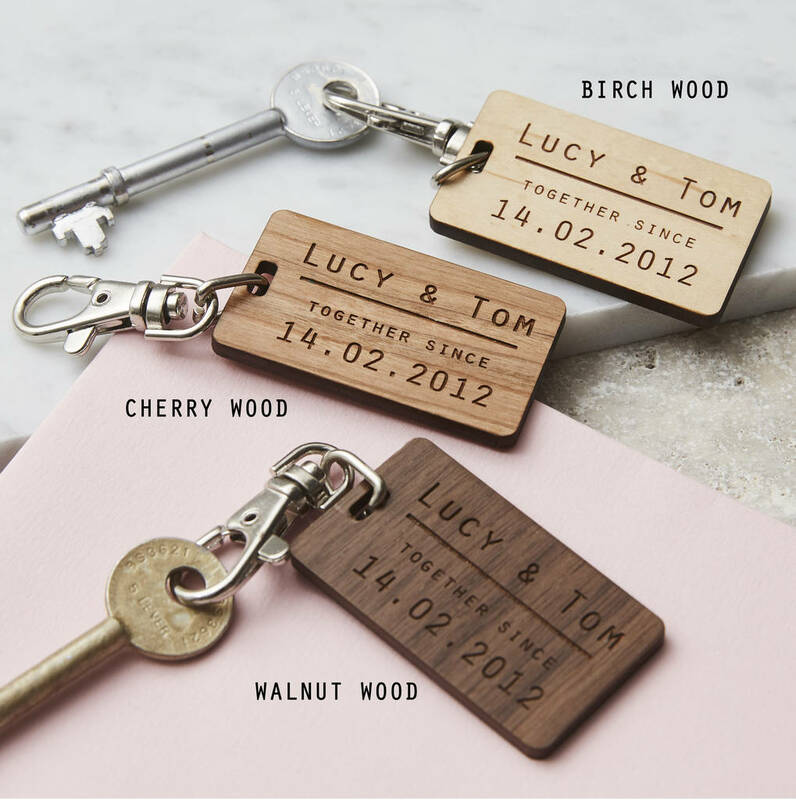 A wonderful Couples Personalised Wooden Keyring, a lovely and unique keepsake. The perfect gift to remind someone how special they are. 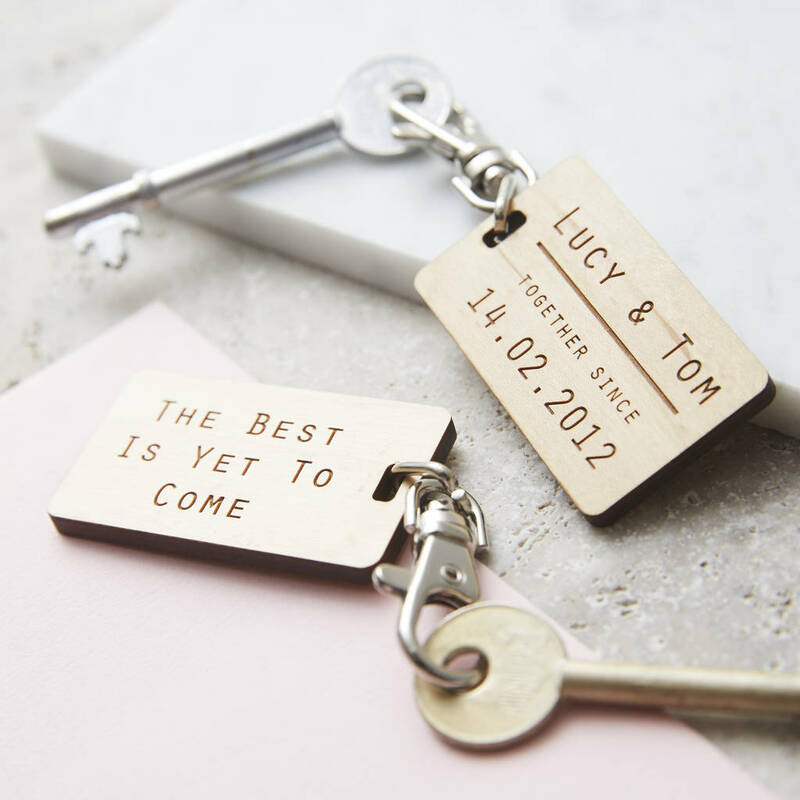 Celebrate a special anniversary with a personalised keyring. A unique token of love that will be cherished for years to come. Personalise with the date that is meaningful to you. A wedding anniversary, the date you moved in together or even the day that you met. Featuring your names and special date on one side of the keyring, and a personalised message on the back. 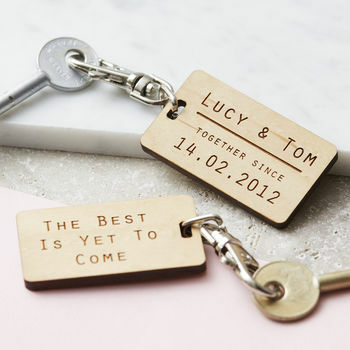 Our keyrings are carefully engraved with your personalisation, so each one is totally unique to you. Simply select the material that you would like your keyring to be made from and let us know your personalisation in the boxes provided. These make a thoughtful gift for all occasions, Birthdays, Weddings, Anniversaries, Valentines, Christmas, or a perfect treat for that special friend or family member. Please Note: Personalisation will be identical to information entered, please ensure all wording is included when placing your order. All personalisations will be in capital letters as per the product photo. 5.4cm wide x 3.2cm high.